No matter the day, no matter the hour, the belt knife is the perfect all-utility tool for any job. The Belt Knife models is one of the most popular knives in the Winkler II series. With the Winkler Belt Knife, customers will be glad they had this knife by their side. The Winkler Belt Knife with a Caswell Finish and a Wasp Pattern Micarta on the handle is a great utility knife for anyone. It is currently being used by active duty military forces, and if it works for them, it will work for you. The 9-inch, 6.7 ounce knife is lightweight and easy to use for chopping, prying, and penetrating tough materials. 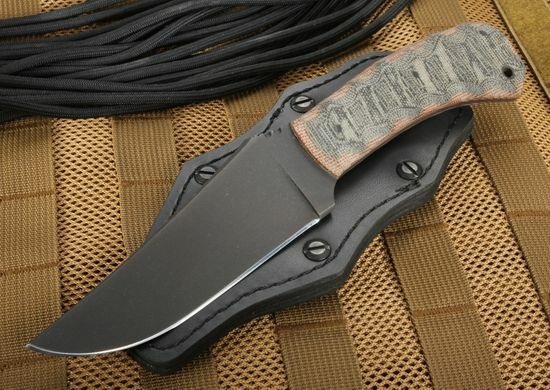 The Winkler Belt Knife is a part of the Winkler Knife II series from it's creator, Daniel Winkler. The blade, a full-tapered tang, measures at roughly 4.5 inches long, 3/16 inches wide, and is made from 80CRV2 Carbon Steel. The black Caswell finish gives the knife a non-glare look. At the spine of the knife, there's a filed thumb rest for a secure grip. Speaking of grip, the handle also has a secure grip. 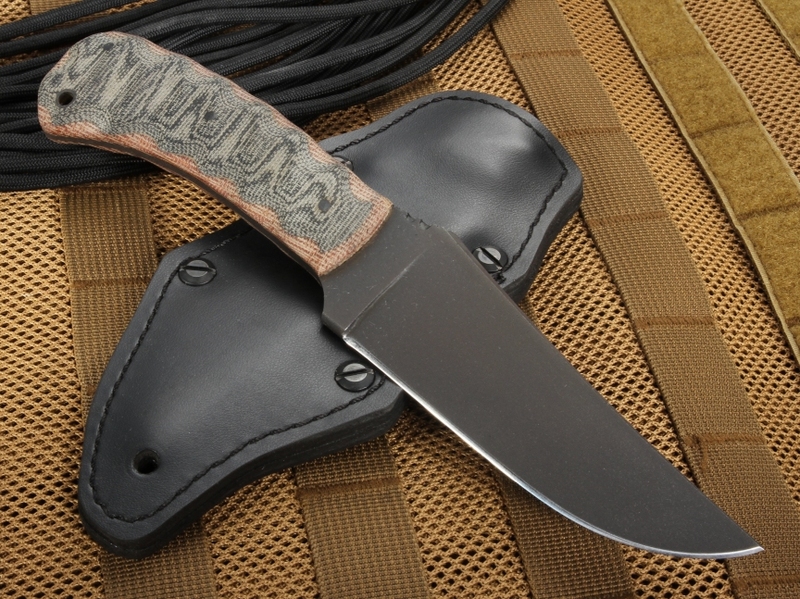 Made from Micarta, the wasp pattern, made from Black and Tan layers of Micarta, gives the handle a unique look. 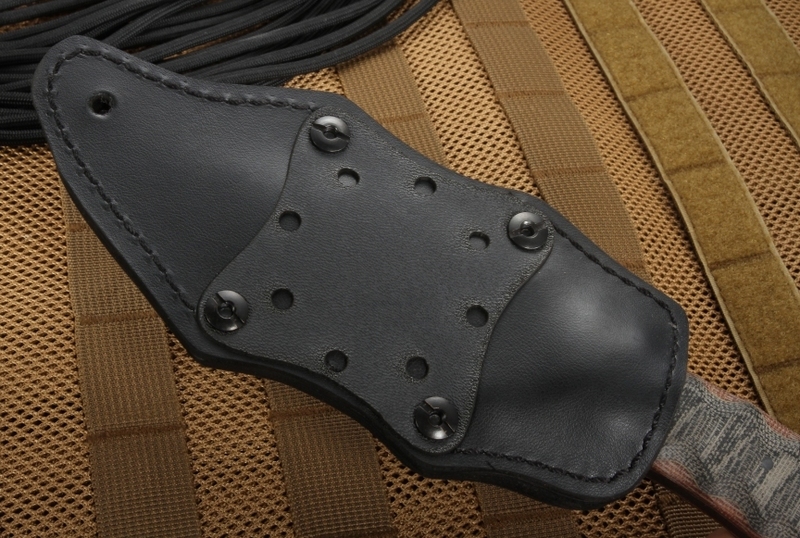 The sheath is leather lined in Kydex, and is easily adjustable vertically and horizontally. A hole for a lanyard is also on the handle. Full tapered tang give this belt knife great balance and control. Filed thumb rest on the blade spine for a secure positive forward grip. 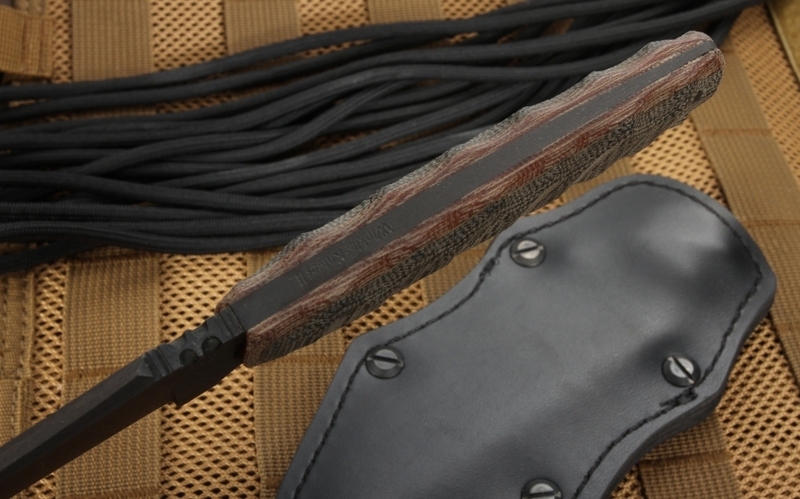 The black leather sheath has felt lined kydex for strength and a secure hold. The ambidextrous kydex and felt lined black leather sheath can be worn vertically or horizontally with easy, minor adjustments. Buyers of this knife will be safe knowing they bought a great knife. We are authorized dealers, a knife curated and selected to be the best-in-class. We also have free shipping in the US for orders over $150 as well as same-business day shipping.